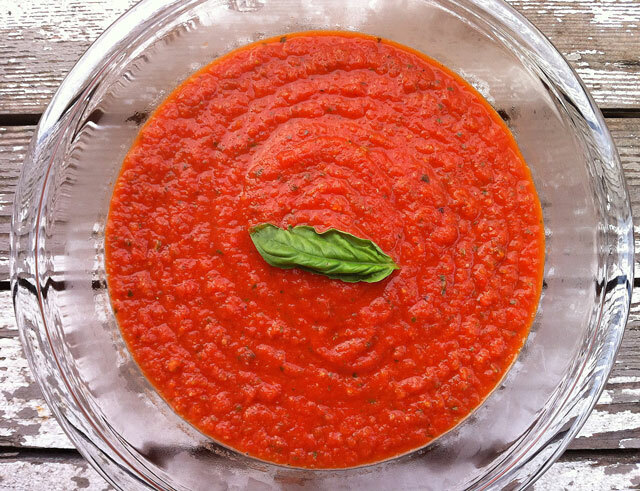 This simple tomato sauce is perfect for this weekend of leftovers. It is quick, easy, simple and tasty. This is an oldy but a goody. This sauce is truly basic. When you make it, you can play with the consistency if you want it thinner, add tomato juice or stock to it. If you want it thicker, reduce it in a pot over medium heat uncovered until you reach the consistency you like. 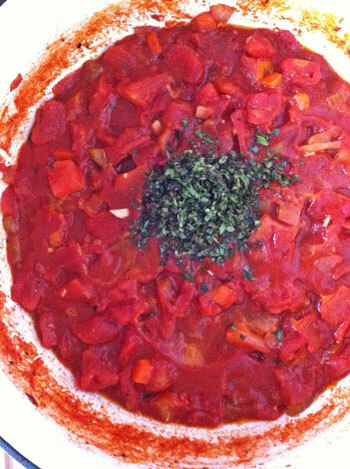 If you want a roasted tomato version, roast the tomatoes first, then follow the recipe. Amp up the garlic flavor, roast some garlic and add it to the sauce. More basil flavor, add more fresh basil in the end. If you have any questions on how to adjust this sauce, feel free to ask! Comment below, email, tweet, face book, whatever floats your boat. But don’t be shy, that is what I am here! Note: I made this with canned diced organic tomatoes because tomatoes are not in season, their flavor is not as delicious right now as they are when in season. If you are making this when they are in season, you will want to use skinned, seeded, chopped fresh tomatoes. 1. In a large pot or dutch oven heat 1 tbsp good olive oil over med low heat. Add the onion, carrot, and celery, sweat for 10-15 minutes over medium low heat, adding no color. Add the garlic and cook for 2-3 minutes or until fragrant. Stir occasionally. 2. 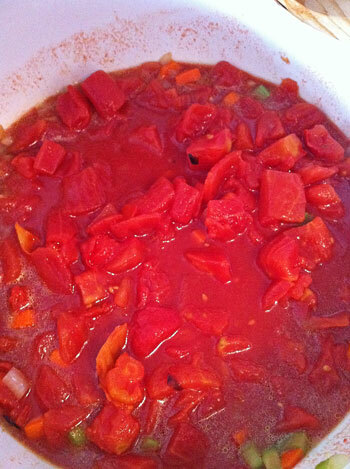 Add the tomatoes and all of the juice, the thyme, oregano, 1 tsp salt and 1 tsp pepper. 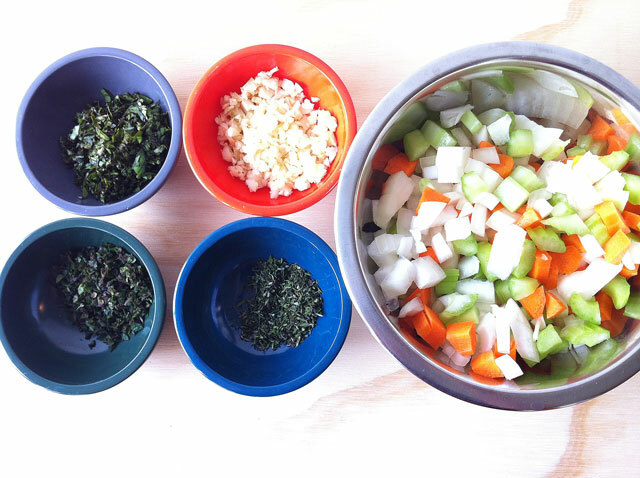 Stir to combine all of the ingredients, bring to a boil, then reduce heat to a simmer. Simmer covered on low heat for 1 1/2 hour, stir occasionally. Check the seasoning at 1 hour, add salt and pepper to taste, and stir in the fresh basil. 4. Turn the heat off, set sauce aside for a few minutes. Grab a blender, food mill, or food processor. I used a blender. Ladle the sauce into the blender a few scoops at a time. You do not want to blend too much sauce at a time, it is hot, so be careful. Blend a few batches to desired consistency. 5. You can either strain the sauce with a fine mesh strainer at this point or not. I like a rustic type sauce, so I did not strain.